Clear color. Complex aromas and flavors of coated licorice candy, lemon poppyseed muffin, piney resinous herbs, and warm milk and honey with an oily, lively, dryish medium-to-full body and a warming, very long finish revealing notes of cracked peppercorns, fresh juniper, honeyed spice cake, and dried stone and citrus fruits finish. A powerfully delicious, expertly crafted, overproof gin with surprising smoothness and nuance. 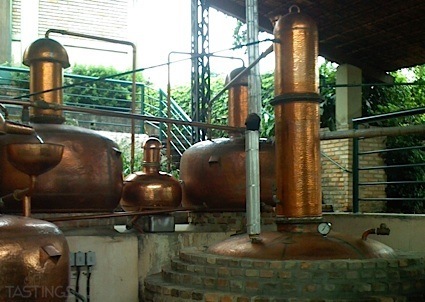 Bottom Line: A powerfully delicious, expertly crafted, overproof gin with surprising smoothness and nuance. 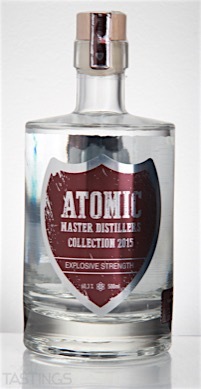 95 • Atomic Master Distillers Explosive Strength Gin 60.3% (Belgium) $49.95. Atomic Master Distillers Explosive Strength Gin rating was calculated by tastings.com to be 95 points out of 100 on 3/22/2016. Please note that MSRP may have changed since the date of our review.